The Chimney fire has burned 24,096 and is currently threatening Hearst Castle, Oak Shores and Christmas Cove. The fire remains 35 percent contained. In the morning and early afternoon on Saturday, the winds were blowing the fire west towards Hearst Castle. Tours of the castle have been canceled. The fire is burning roughly two miles from the castle. By late afternoon on Saturday, the winds turned and blew the fire north towards the Lake Nacimiento areas of Oak Shores and Christmas Cove, both of which are under evacuation orders along with Cal Shasta, Ranchos del Lago, Bryson Hesperia and South Shore Village. Overnight, the fire behavior was extreme and consumed another 4,000 acres. Dry and drought stressed timber, chaparral, and grass in the steep inaccessible terrain continues to hamper firefighting efforts. The fire has destroyed 34 homes, 14 outbuildings and damaged seven other buildings. 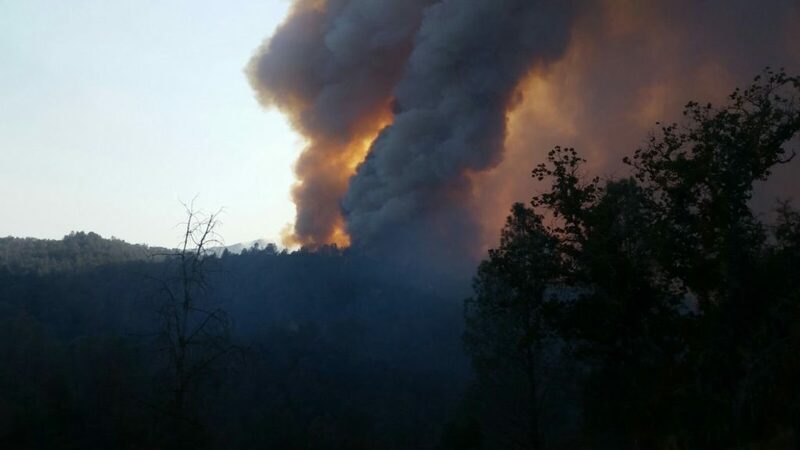 A total of 2,699 fire personnel are currently battling the blaze. The cause of the fire remains under investigation. The fire started Saturday at southwest of Lake Nacimiento in the Running Deer Ranch area.